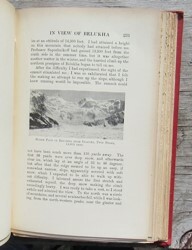 This is the first printing of the first edition of SIBERIA. 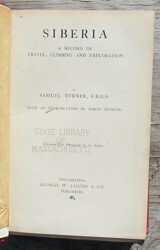 A RECORD OF TRAVEL, CLIMBING & EXPLORATION by Samuel Turner. 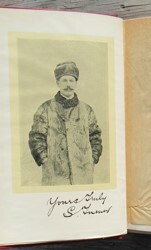 This book was published in Philadelphia by George W. Jacobs & Co in 1905. 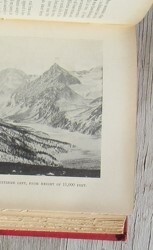 The book measures 230mm tall x 145mm and has 420 pages, many b/w photos, 2 folding maps, index. 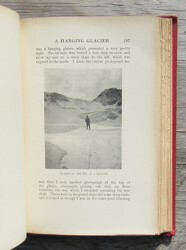 This USA first edition is the same as the first UK edition except for the title page and the publisher name stamped on the spine. 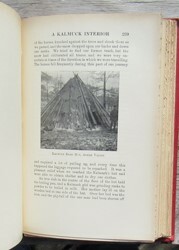 The title page is a cancel = a USA title page tipped-in in place of the UK title page which has been carefully extracted and discarded. This was a common practice of publisher's for the period as a way to reduce expenses. 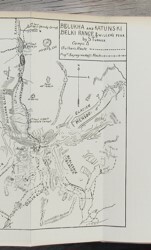 Other than the title page, all pages, plates, and maps were printed in Edinburgh UK. 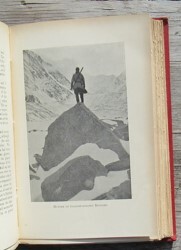 The author climbed & made first ascents in the Altai Mountains of south central Siberia. 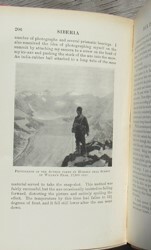 Turner was a good athlete & skilled climber who liked to show off his physical prowess via frivolous escapades such as doing handstands on knife edge ridges. 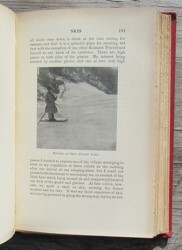 CONDITION: Original red buckram. 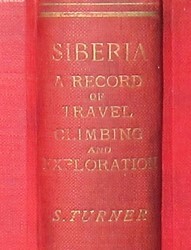 Gilt decoration front cover & spine, TEG. 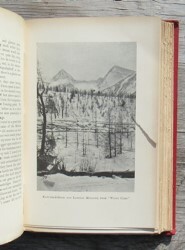 Ex-library in original binding: perforated blindstamp on title page, "withdrawn" stamps on verso of title page, no other liberary marks on any pages, original end pages have no library marks or traces of bookplates or card pocket. 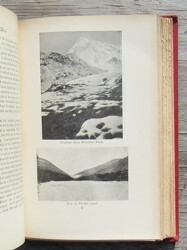 Light diffuse soiling covers (not heavy), very tips of two corners rubbed, minor rubbing spine ends, no writing or marks on pages other than the title page, one photo plate has a tear that goes into the image (see photo), solid binding, complete with all pages, plates, and maps, no foxing. Price: $235.